Actress Nayantara has already acted opposite superstar Rajinikanth in chandramukhi an also danced for a song with him in 'Sivaji'. Rajinikanth - Karthik Subburaj Coalition recently released a film Petta. The film produced by Sun Pictures was played by Superstar Rajinikanth, Nawazuddin Siddique, Vijay Sethupathi, Simran, Trisha, Bobby Simha, Megha Akash and Sanand Reddy in the lead roles. Anirudh composed this film and received good response from the audience. After superstar Rajinikanth's Petta, The news was reported to be the next film directed by director AR Murugadoss. At the same time, Rajinikanth busy on his second daughter Soundarya's wedding. Meanwhile, Santhosh Sivan had announced on his Twitter page that Santhosh Sivan had signed a contract for Rajinikanth - AR Murugadoss's film. Rajinikanth, who has completed the wedding of Soundarya, has now begun focusing on AR Murugadoss's direction. It is reported that the film crew has been engaged in talks with Nayantara in the film. which is produced by Lyca Productions. Report says Anirudh is going to be music in this movie. Actress Nayantara has already acted opposite Superstar in Chandramukhi. He danced for a song with him in 'Sivaji'. It is also noteworthy that they have acted together in 'Kuselan'. 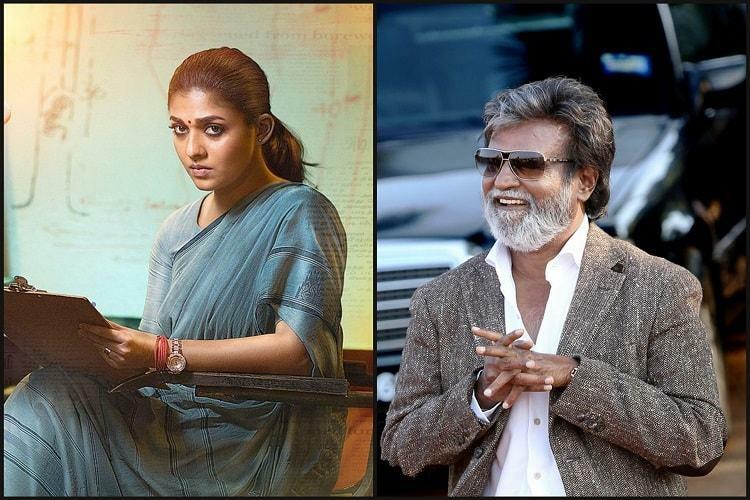 Write & Share about "Nayanthara is pairing with Superstar's next film directed by AR Murugadoss | Petta Tamil Movie News | Cinema Profile" !